Opening of "Eagles: Kings of the Sky"
Dickson Mounds Museum is opening Eagles: Kings of the Sky, photography by Jeff Moore, on Saturday, February 3, 2018 as part of the annual Fulton-Mason Eagle Day event. Accompanying the exhibit will be two Eagle mounts from the Illinois State Museum’s Zoological collection. Jeff Moore is an Illinois photographer who specializes in birds and waterfowl hunting. Every year, he pursues his passion across the State and nation, as he tries to widen his photographic experiences. 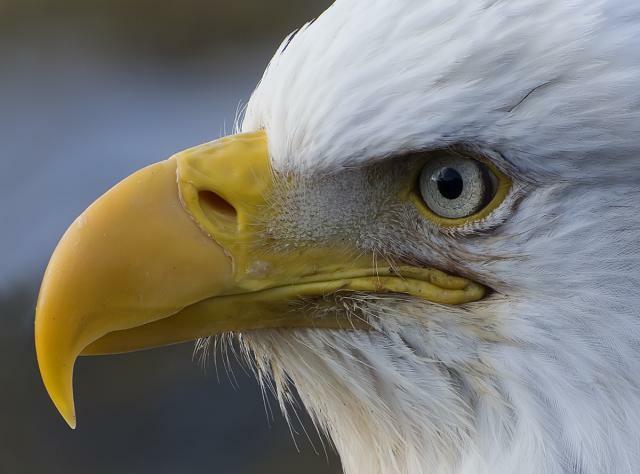 Eagles have always been one of his favorite subjects because, in his words, they represent the F-16’s of the bird world. In 2016, his shot of a retriever dragging a goose was selected in the prestigious Communication Arts Photo Annual. Sotheby’s used his photos in 2014 to sell one of its most expensive decoys ever. In 2006, his work was honored as Best in Show by Illinois Outdoors Magazine. In 2009, Jeff’s picture of an Eider Decoy was chosen as the cover of Robert Shaw’s book Bird Decoys of North America. The exhibit will be open through June 3, 2018. Admission is free; however, donations are appreciated.